The Volvo Penta IPS revolution continues with our most powerful version ever – the D13-IPS1350. 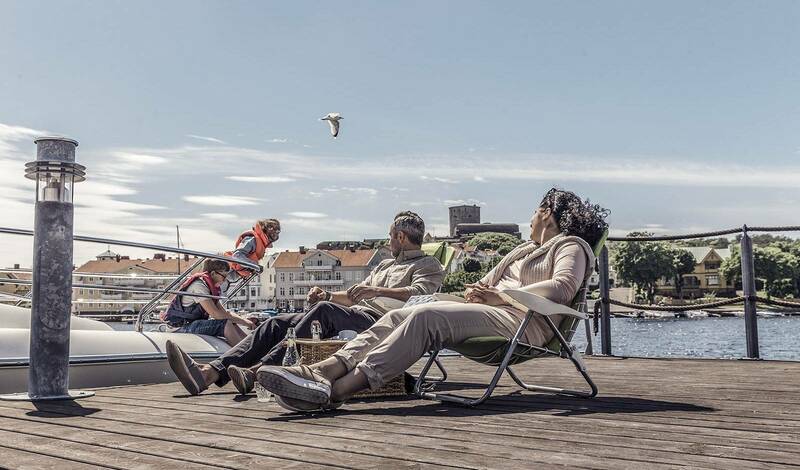 It exemplifies the extraordinary lengths Volvo Penta will go to deliver superior performance while maintaining the signature maneuverability and comfort of IPS. Our engineers have reworked the entire driveline to provide a system that is perfectly matched for maximum reliability – just like the rest of the IPS range. In fact, you could say there has never been a better time to join the revolution. Maneuverability, onboard comfort and performance – Volvo Penta IPS takes these characteristics to a whole new level. In addition, the layout of IPS creates more usable space onboard and has influenced many of the world’s leading boat designers. Volvo Penta IPS is designed to improve all aspects of propulsion. The numbers speak for themselves. Forward-facing, counter-rotating propellers reduce CO2 emissions by 30%, while also reducing fuel consumption and perceived noise levels. And that’s not all. 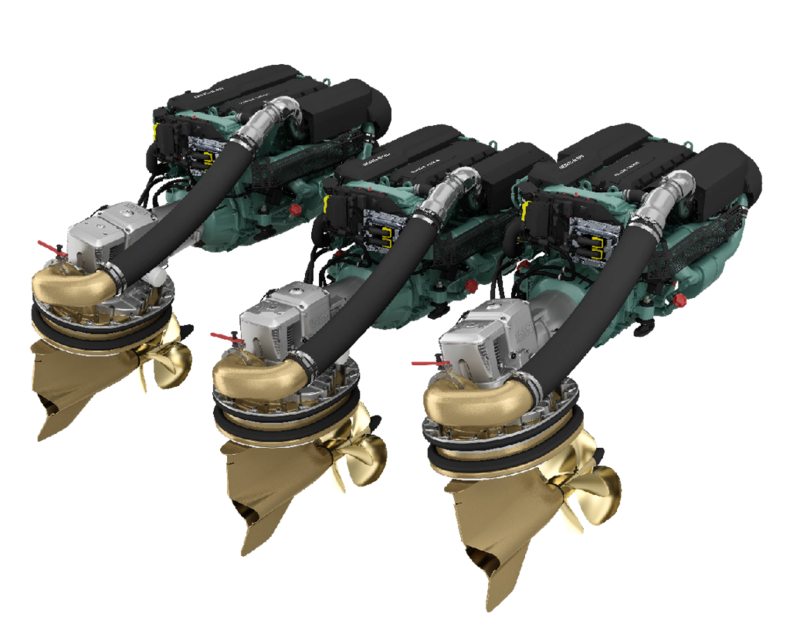 Together with the latest Volvo Penta engines you get 20% more speed, together with a 40% longer cruising range. 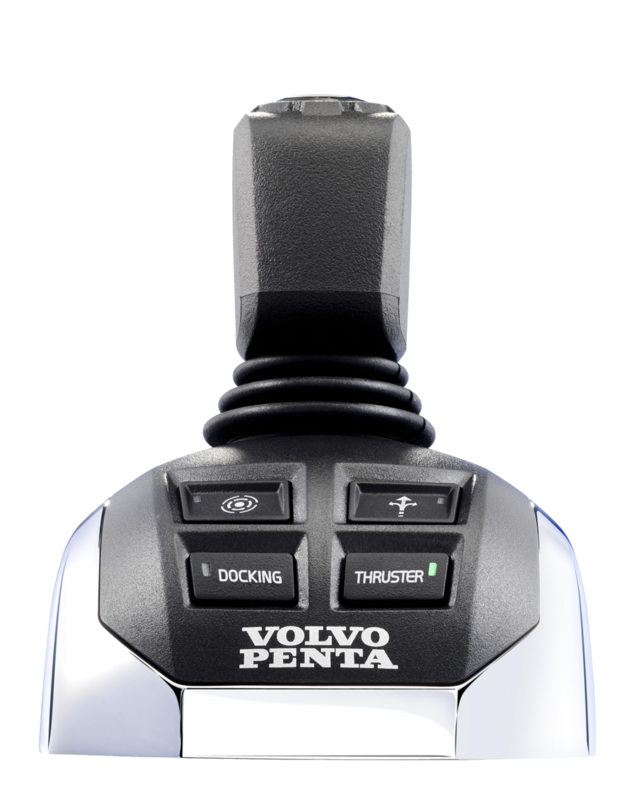 The joystick is perhaps the most well-known feature of Volvo Penta IPS, putting outstanding maneuverability and a unique combination of functions within easy reach. Dynamic Positioning, Joystick Driving, Joystick Docking and High Mode all offer easier handling and increased safety. The key to the outstanding efficiency of the Volvo Penta IPS pod system is in the configuration itself. 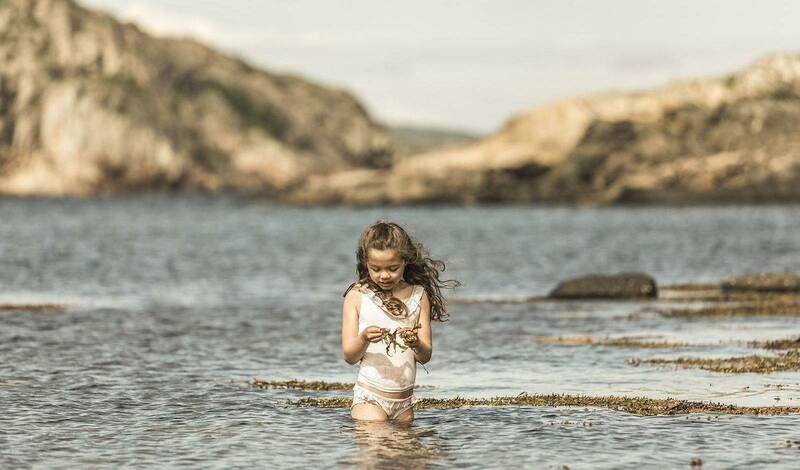 The twin counter-rotating propellers are mounted together in a forward-facing position to work in undisturbed water. 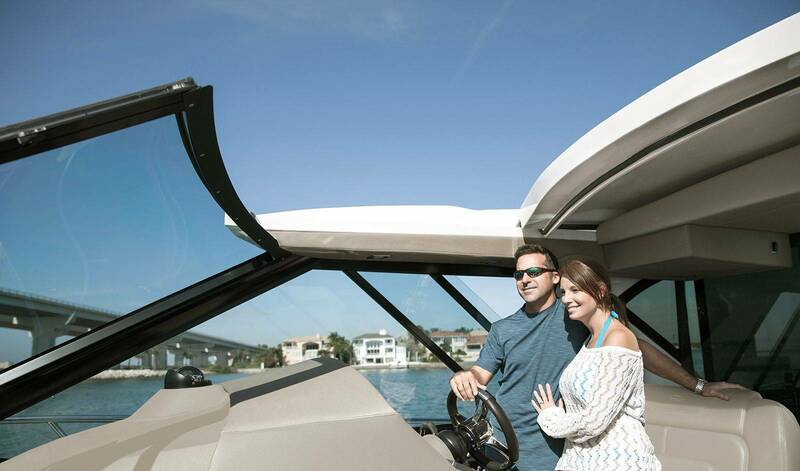 So when you engage the throttle, the power pulls the boat forward through the water rather than pushing it – putting world-class maneuverability at your fingertips. 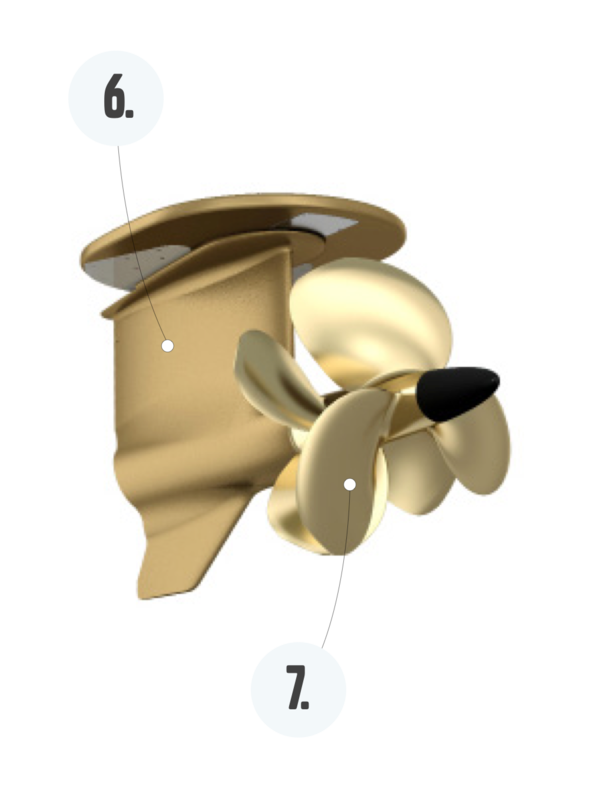 Forward-facing propellers considerably improve on-board comfort and reduce emissions at the stern. All exhaust fumes are emitted through the pods, into the prop wash and carried well behind the boat. Cavitation is not a problem as propellers are positioned well under the hull; air intrusion is stopped, even in sharp turns and during full acceleration. Reliability is assured with upgraded pistons, camshafts, injectors and cooling systems, while retaining the same compact design as the current D13-900. Noise levels and vibrations are reduced using rubber suspension and seals to absorb thrust and propulsion forces. The forward-facing solution and an efficient flat-surface planing hull give around 35% higher efficiency at fast cruising than inboard shafts. Handles more power. Increased durability and reliability with upgraded gears and bearings to perfectly match the output of the new D13 engine. Open the throttle and the D13-IPS1350 unleashes 1000 hp and 3527 Nm of torque at 2400 rpm. Steerable pods harness the thrust and point it in the desired direction. This gives an immediate response and totally predictable handling. With Volvo Penta IPS, the exhaust doesn’t go through the propeller hub. The minimal hub diameter results in a larger active blade area and thus, a significantly better grip in the water. Volvo Penta IPS is available in twin, triple and quadruple installations. 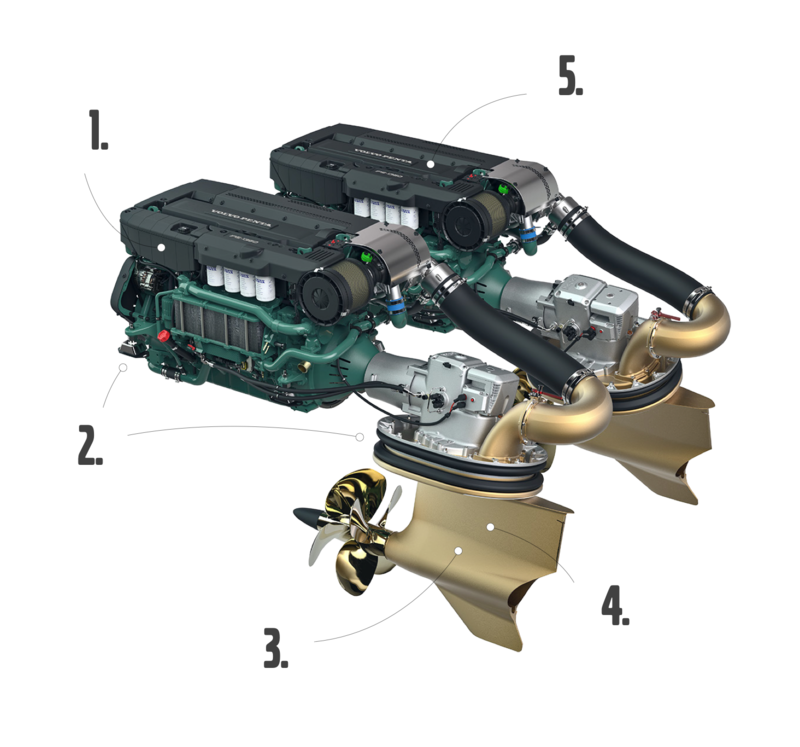 Suitable for a wide range of boat designs, the lighter and more compact engine installation delivers a superior power-to-weight ratio. This results in a smaller engine room and more space for accommodation.